In her youth, Tammie, 41, was abused by family members and boyfriends. Tammie looked to using drugs as an escape, but became addicted. It temporarily numbed her interpersonal pain, but left pain in its wake. “It was very hard to be anything- a friend, a daughter. I could only talk about my addiction. It was terrible,” Tammie said. The guilt was enormous, she said, especially because she has three children. When she went to stay with her daughter last year, she was served an ultimatum. “If you don’t get sober, I will never speak to you again,” her daughter said. Tammie immediately went to rehab and then joined HACC’s Fresh Start job program to set her on the path to gaining employment and housing to reunite her family. After doing a fabulous job working on her resume, practicing interviews, and learning new job skills, HACC recommended her to the Chicago Transit Authority’s internship, the Second Chance Program, to be a paid bus cleaner. While working at the CTA she found an apartment, but there was a a $1,200 security deposit– way beyond her savings. HACC was able to pay for some of the deposit with the Emergency Fund, a fund created for dire circumstances, like one-time aid with rent and utility bills, for people without a safety net. The fund is provided for HACC by the organization All Chicago. 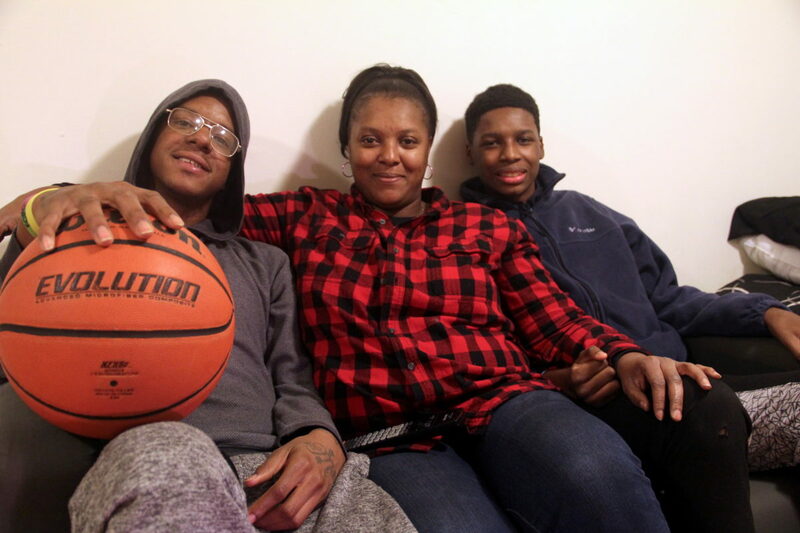 With HACC’s aid, Tammie was able to move into an Evanston apartment with her three children and rebuild their relationship. Once she had stable housing, she was able to focus on pursuing her career goal– becoming a bus driver for the CTA. She worked extra hours to earn certifications and a Commercial Drivers License while at her CTA internship. 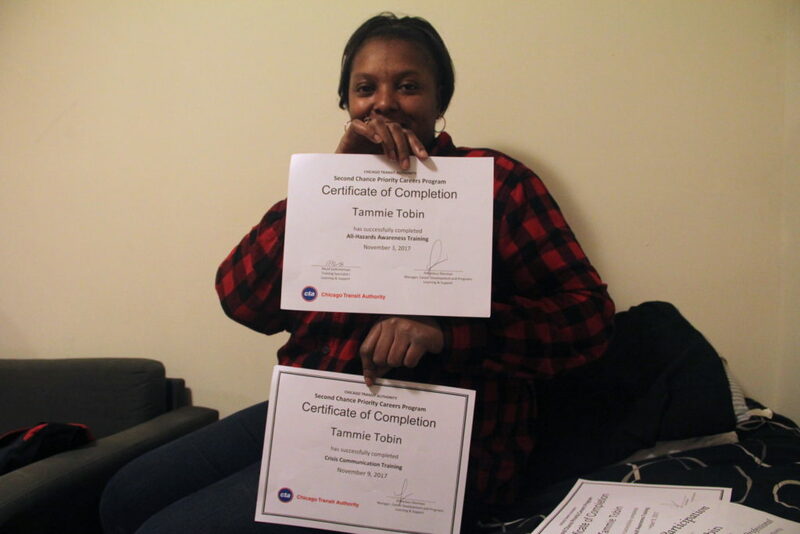 This December, Tammie interviewed for a full-time position as a bus operator with the CTA. She was nervous, though she collected rave reviews from supervisors, talking about her positive personality and ability to be a team player. But a lot was riding on the interview. The job would pay $21.00 per hour and have a union and 401k. “That’s going to take me and my family out of poverty. We’re going to be able to move from here to a bigger place…It wasn’t easy and it’s all due to Howard Area Community Center and me,” she said. And guess what? Tammie got the job! “ …when I came back from rehab I never thought this would happen to me. I just wanted to stay off of drugs and alcohol. Not that my life would be turned around in 7 months! Nobody would believe this story.” Tammie said.